Microsoft's demo included holographic avatars, virtual caves and more. If you think you have a sense of what Microsoft's HoloLens headset can do, you're in for a pleasant surprise. 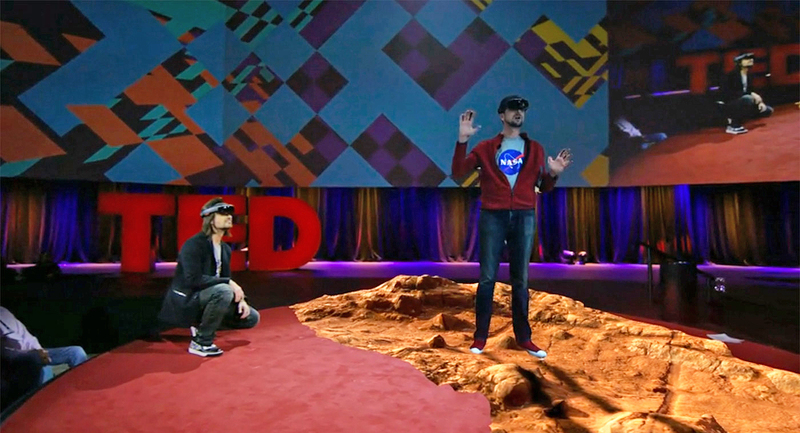 The company's Alex Kipman recently presented a TED Talk on HoloLens that included multiple fresh demos illustrating Kipman's vision of an augmented reality future. He showed off virtual caves and forests, and a space where you could watch TV at one moment and talk to family in the next. The highlight, however, comes near the end: Kipman talks to an avatar of NASA's Jeffrey Norris standing on a recreation of Mars. Suddenly, Star Wars' holograms aren't so far-fetched. A question-and-answer session after the presentation also helps explain how Microsoft produces the holographic effect for an external camera at an event. While HoloLens normally maps environments in real-time, Microsoft pre-maps the stage so that it can maintain the demo even when the WiFi invariably bogs down. Also, while the outside camera uses a fisheye lens to create an extremely wide field of view, Kipman is quick to note that the points of light in a given area are identical -- the experience is fundamentally the same. In short, you'll probably feel like you got your money's worth if you dared to drop $3,000 on the developer HoloLens unit.